What you need to know and how you can use that information. Presentation for all ages –citizens, naturalists and scientists – beginners to knowledgeable. Why should people know about bats? Bats descend from tree dwelling mammalian neighbors of the dinosaurs and remain intricately involved with our natural world today. Bats and humans can coexist and even benefit mutually. We’re both part of the intricate fabric of life on this planet…the only home we have and share. Kids love all sorts of animals – while they’re still kids. Adults not so much so. We’ve learned and accepted much about the natural world that is misleading, distorted or just plain false. This roughly 45 minute presentation honors kids’ openness and at the same time helps dispel some of the misinformation that actually threaten bats’ survival. We’ll talk about what bats are found in Minnesota, some basics about how they go about their lives, what threats they may face, what we can do about it and most of all why it matters. Minnesota bats are under extraordinary survival pressures. Bats greatest source of threat comes from human activity, some of which has passed a tipping point and may spell the end for some species. That’s the shameful bad news, but there’s some good news buried in it; human activity could slow, stop, even reverse trends stemming from some of the threats. We’ll talk about the range of threats and their mechanics, leading to actions we can take to help reverse the trends. 45 min. Bats are truly amazing, and their very long participation in the development of the natural world we live in today continues to matter very much. 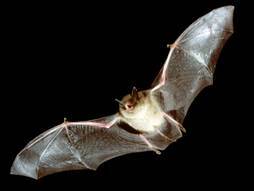 This two part short course covers bats from the time of the dinosaurs to the present. Presented as two separate 50 min. sessions or over a two hour span with a break, the first part reveals the evolution and distribution of bats, and the mechanics of their flight and echolocation. In the second part, we look at how bat threats have changed and the specific threats now faced, and what we can do to forestall further harm. A retired Minneapolis English teacher and trained Minnesota Master Naturalist Volunteer. I grew up playing in the Delaware woods. My family relocated to Minnesota in 1958. At summer camp, I took an interest in bats as part of a project, but did little until reconnecting with my interest in the natural world after I retired in 2011. My interest in bats was reignited. I quickly discovered how misunderstood were these fascinating and fabulous creatures of the night and of the air. Live presentations are free to not-for-profit events. If an event site is greater than 100 miles from Minneapolis, some travel cost must be arranged. Contact me as below for more information and availability.